When someone begins to face their substance abuse problem, they know that some of their personal relationships have to change. If this relationship is with a life partner or spouse, however, the issue can become complicated. While there are no formal statistics for co-occurring substance abuse in a family, most substance abuse counselors will tell you it is actually very common. Often, a couple will come together because of their addiction: people seek out partners who have similar issues or battles to their own. Other times, substance abuse was introduced by one partner and, over time, the two cycled into addiction. The first step will be to assess the relationship. Sometimes, when there is addiction in the home, there have been other problems. There may be abuse, infidelity and/or trauma. Both partners need to make a decision about the quality of the relationship and whether it can or should be saved. This is not a decision that needs to be made at the beginning of treatment, it can be made over time, as you get stronger and healthier throughout the process. But there is one assessment that needs to happen before you begin recovery. You should be clear that the relationship is physically and emotionally safe. If the relationship is physically or emotionally abusive, it will be impossible to remain together and work on recovery and sobriety. If you have a substance abuse problem, you cannot live with someone who is actively using. Early recovery is very hard and many people relapse. If someone in your home is actively using alcohol or drugs, the temptation to use will be too great, your home will become a trigger and you will not be safe. Sometimes, a substance abuser will enter treatment thinking that they can return home and change their partner or spouse. While this may seem like a good idea with the best intent, it is not. If one partner is still using, they will usually trigger the other one to return to addiction and they will spiral back into substance abuse together. Sometimes too much has happened in a relationship and it has become toxic. Some couples realize that they never really had a partnership: their relationship just revolved around drugs or alcohol. Once you are clean and sober, it will be possible to see if there is a relationship you want to save. For some couples, the commitment to abstinence is very hard to maintain. One partner will start out wanting to be clean and sober, but then decide that they do not wish to remain in recovery. They might even sabotage their partner, in order to return him/her to addiction. One of the benefits of being in treatment, is that you will be working with a counselor who is available to help you sort out your feelings and priorities. If your partner starts to relapse, you will have a safety plan. If you need to separate, they will help you figure out how to do that in the most supportive, healthy and respectful way possible. If you and your partner are committed to change, it is possible for you both to enter treatment. Most rehab facilities will want you and your partner to begin treatment in separate facilities, this will give you both time and space to begin to make positive changes in your life. Some placements will also work with you on your relationship and your relationship goals. They will help you learn how to manage stress and give you tools to guard against relapse. 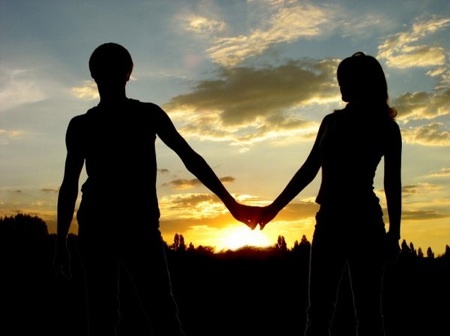 There are many outpatient treatment facilities that will also do couples work. Often this involves a ‘recovery contract’ between you and your partner, where you both commit to abstinence. Other services have a ‘team provider’ approach, wherein both partners meet with individual therapists as well as a couples counselor. These teams understand that many aspects of your relationship will have to change. Couples that have been using drugs and alcohol instead of actively listening and communicating, will need to work on these skills. There are also many trust issues that will need to be resolved. Your counselor will make certain that your first goal is your recovery, then they will work on strengthening your relationship as a couple. Whatever you decide about the future of your relationship, it’s important to realize that all treatment professionals recognize that the first commitment must be to your own abstinence. If you are clean and sober, saving your relationship is possible. You will be able to work together on the skills that you need to succeed. If you must end your relationship, recovery will mean that you are stronger and healthier. Although it may not be easy, you will have the strength to move forward.